God created mankind to be one family; when any of our brothers and sisters suffer, we are all affected. We all know from experience how easy it is for some to ignore other people’s suffering and even to exploit their vulnerability. But we also know that these crises can bring out the very best in us. Monday, June 20, we celebrate World Refugee Day, which provides Catholics an opportunity to reflect on the conditions confronting the millions of people who, like those on Lesbos, have been forced from their homes under threat of persecution and possible death. The most recent reports by the United Nations High Commissioner for Refugees has estimated the number of forcibly displaced people to be at about fifty-nine million. In other words, about one in every 122 people living today is either internally displaced, a refugee, or seeking asylum. This is a staggeringly large number. Current political conditions around the world show few signs of improvement, with the likelihood that things will only worsen in the coming months. Often our attention is drawn either to situations of mass displacement or migration related crises that occur closer to home. With respect to the former, the conflict in Syria has resulted in massive upheavals, with as many as nine million Syrians displaced from their homes, and over three million seeking safety in a neighboring country such as Lebanon or Turkey. Approximately one in four people living in Lebanon are refugees. Closer to home, the increase in the number of asylum-seeking unaccompanied migrant children and migrant families who arrived along the southwest border of the United States in recent years precipitated a moment of crisis and a media frenzy by the summer of 2014. With an average of 6,800 children apprehended in each year from 2004 – 2011, the number jumped to over 13,000 children in Fiscal Year (FY) 2012 and over 24,000 in 2013. Over 50,000 were detained in FY 2014 and, although a decrease was evident the following year (28,387), the numbers again increased in the first quarter of FY 2016 (18,558). Trends are similar for migrant families apprehended over this same stretch of time. In both situations, the Catholic bishops of the United States have called for expanded protections for the most vulnerable populations in these migrant flows. With respect to Syria, the bishops have called on the U.S. government to provide 100,000 annual resettlement slots for the most vulnerable refugees fleeing the conflict in Syria. With respect to Central America, they have stressed the importance of recognizing the families and unaccompanied migrant children fleeing their home countries as refugees, and the need to ensure that the international protections due to these populations is respected. These are both important situations that are deserving of our continued attention. Unfortunately, the sheer volume of people migrating in both of these crises and others like them often obscures the individuality – the personhood – of individual migrants who are making a long and dangerous journey to what they hope will be a place of safety. For this reason, it is important that we take the opportunity to highlight the people who are affected. 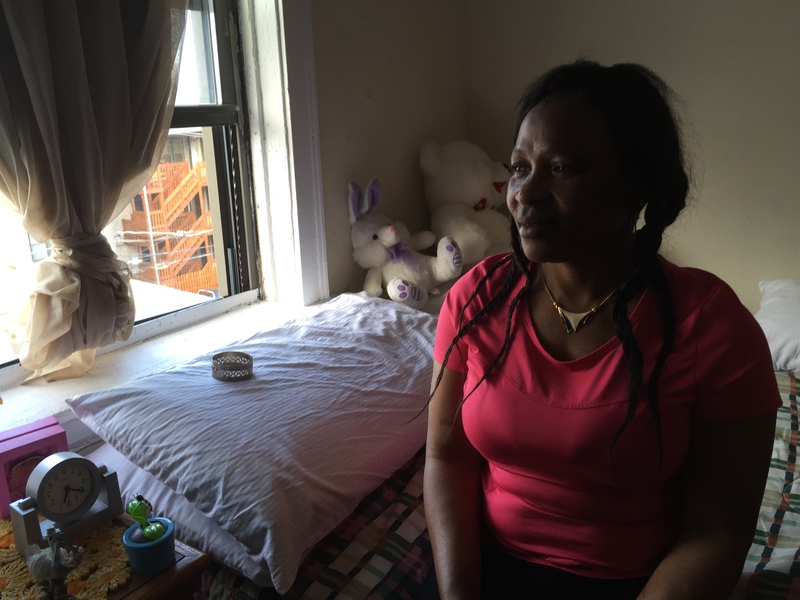 “There was so much killing, and it was extremely bad and in Nigeria, I really suffered there.” When asked how long it took for her to come to America she said, “It took many, many years. They only interview a few refugees at a time.” She kept praying, “God see me, send me to an agency that cares.” Finally, her prayers were answered. Once Mariam was in America, she went to school to train to be a Certified Nursing Assistant (CNA) and soon after she now has a full time job as a CNA. She wants to continue her education to become a Registered Nurse (RN). “God really answered my prayers. My dreams are coming true,” Mariam says. 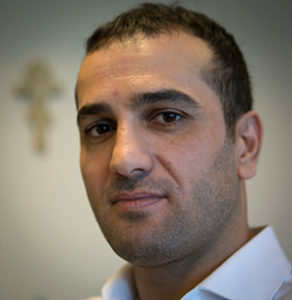 People like Omar, who fled Syria under threat of torture and likely death, and who has since found a new home here in the United States where he is now thriving. Or like Mariam, who experienced violence in her home country Sierra Leone and then spent years in a refugee camp in Nigeria before coming to the United States. These kinds of stories help us to recognize the person behind the refugee crises that we hear about every day. They are not just part of a faceless mass of people, but individuals who deserve to have their dignity respected and the opportunity to live a life worth living. As Pope Francis stated, these crises can, and should, bring out the best in all of us.